Thanos Prunarus has been a bartender since 1999. 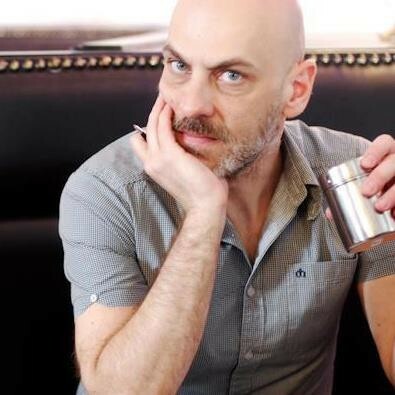 He is the founder and operator of Baba Au Rum bar, a leading rum and cocktail venue in Athens, Greece, awarded one of the World's 50 Best Bars in 2013, 16, 17, 18, reaching #22 this year -- always at the top lists worldwide. Opened on March 2009, Baba brought fine drinking culture to the streets of Athens for the first time. Having an extended list of both classic and contemporary cocktails and an unlimited back bar with more than 350 different labels of rum from all around the world but also lots of Single Malts Whisky, Cognacs, Gins and Agave spirits. With no doubt Baba Au Rum is the bar that started all in the Athenian modern bar scene. Thanos is considered as a main rum and cocktail influencer globally and travels around the world to discover rum and spirit world, visiting and participating in rum festivals the world over, including judging at the world final of main international rum competitions. He is also a member of rum jury at German Rum Festival and the Miami Rum Festival for the Rum Awards. He organises the annual Athens Rum & Whisky Festival and publishes the International Cocktail and Travel magazine FINE DRINKING. A member of the International Rum Experts.